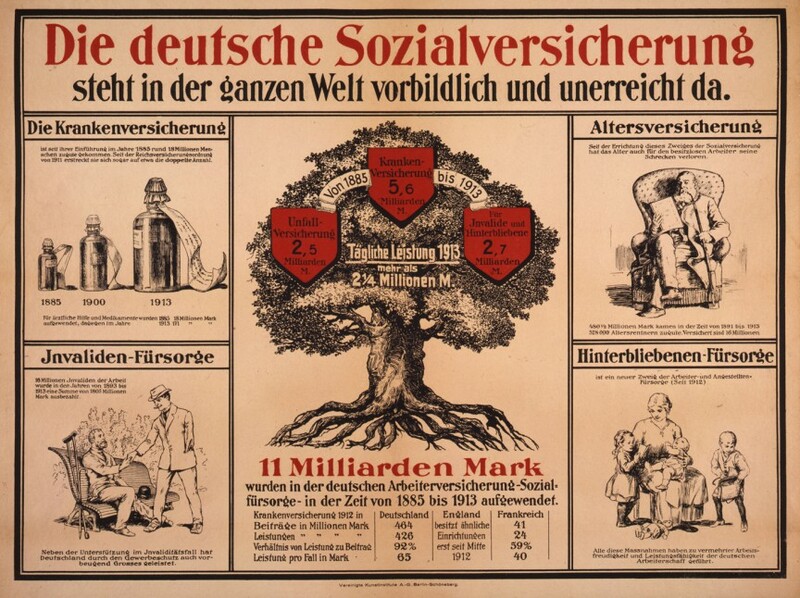 German Chancellor Otto von Bismarck introduced social security programs in the1880s. His idea was to appease the growing proletarian classes. Germany's system was the first of its kind in the world. Old age pensions, accident insurance, medical care and unemployment insurance were soon after introduced in many other countries.